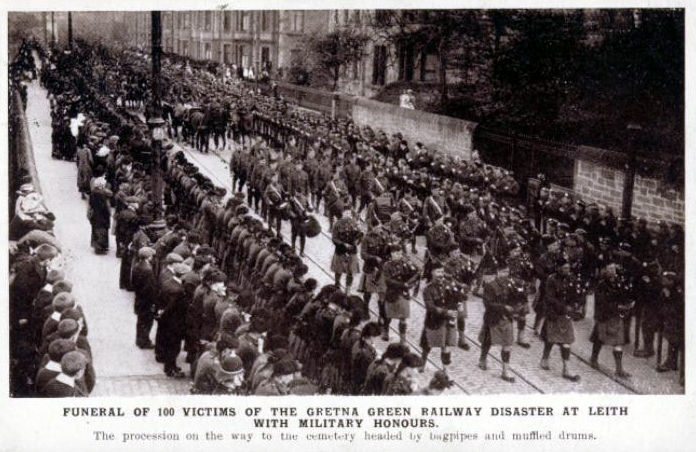 1915: Five hundred young men leave Leith to join the “great” War – they get no further than Gretna. 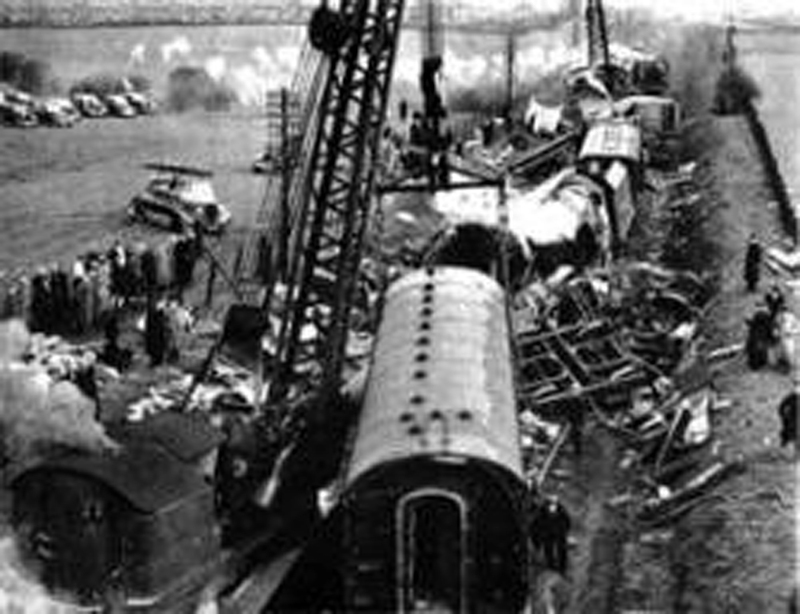 232 killed and 230 injured in Britain’s worst ever train crash. 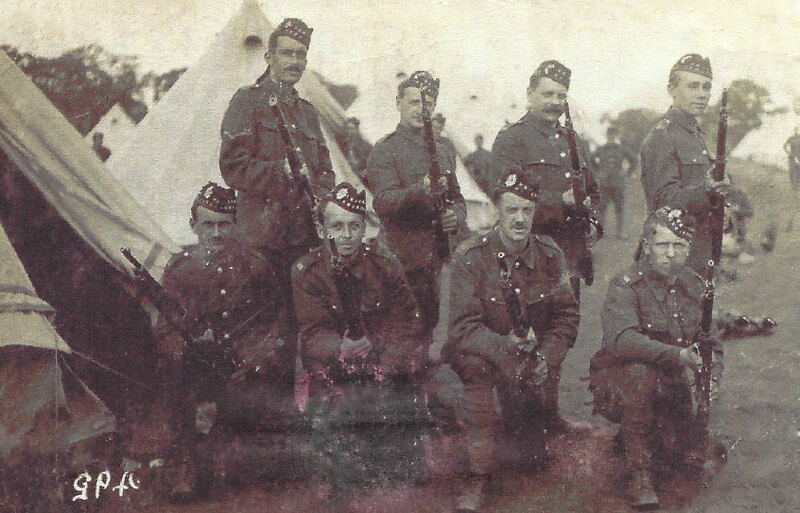 Commemorated annually by the military at their memorial to the fallen – Leith’s Own tells the story from the point of view of the families of those killed and who survived – events which still scar memories in Leith today. 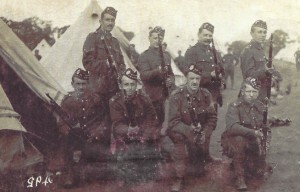 At dawn on 22nd May, 1915, some 500 officers and men of the Leith Battalion of the Royal Scots Regiment marched, to the sound of pipes, into the Stirlingshire station of Larbert, where a troop train was waiting for them. 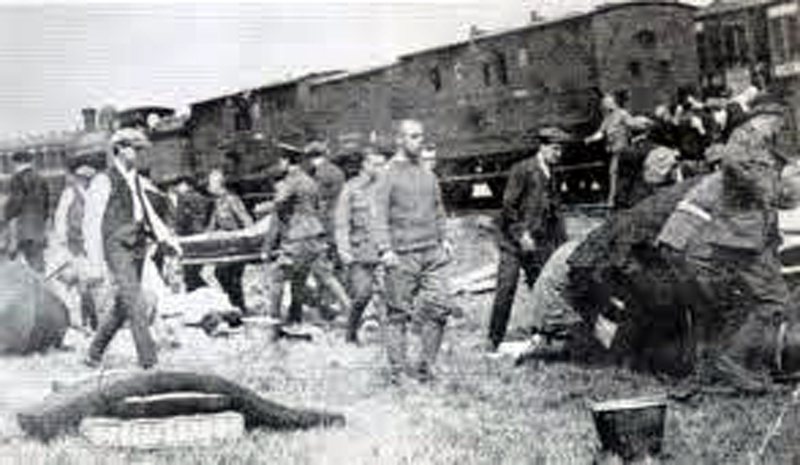 The First World War was in its tenth month and these new soldiers were on their way to Gallipoli, a peninsula of European Turkey, via Liverpool. 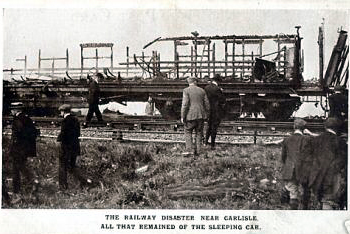 Shortly after 6.30 a.m. the train was near a signal-box at Quintinshill, near Gretna Green, and not far from the English border where it was involved in a triple collision. 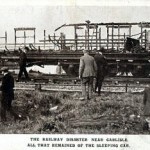 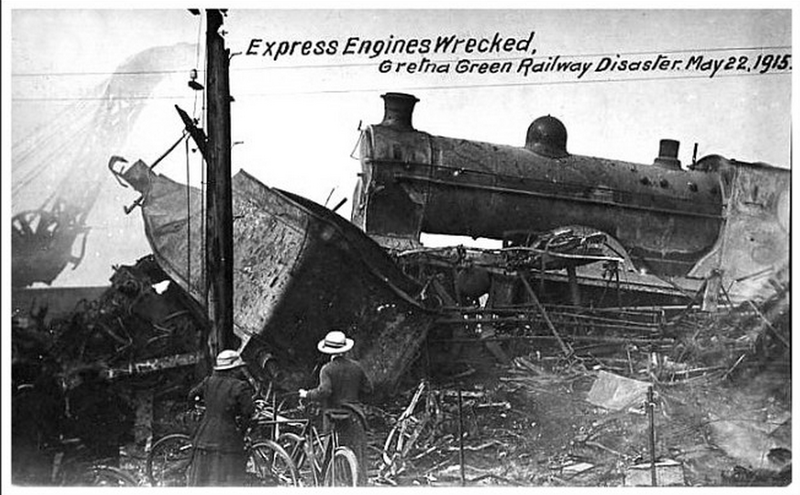 The troop train ran into a train which had accidentally been left on the line, and a few seconds later an express from London, travelling in the opposite direction, crashed into the wreckage. 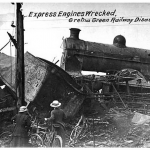 The 213 yard train was said to have been telescoped to 67 yards from the impact of the crash. 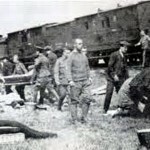 Of the 500 troops who originally boarded the train, only 53 answered the roll call – most of these then went on to perish at Gallipoli. 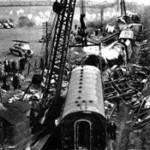 Research Contributors: Robin Reid, Robert and June Dagleish, Elizabeth and John Edward, Malcolm Lawson, Heather Thomson, Colin Wallace, David T. Henderson, Derek Allan, Andrew Kay, Lillian King.